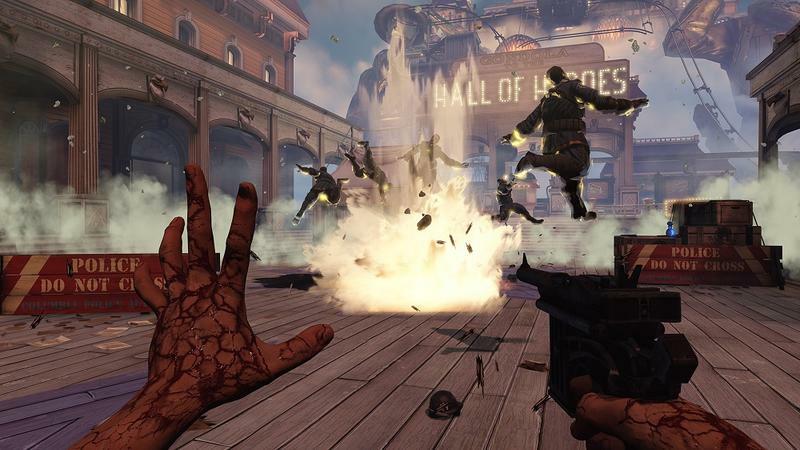 Irrational Games’ next entry in the BioShock franchise has been hit once more by the delay hammer. The staff at Irrational Games has decided that their work needs just a little more time in the oven before the unleash it upon the world. BioShock Infinite is now set to release on March 26th, 2013. “Okay, guys, I have some bad news…When Rod [Fergusson, Epic’s former Production Director] came on the project a couple of months ago – and this dude is living in a hotel nearby because he really wanted to work on Infinite – he really fell in love with the game. But he said, ‘look, Ken, I really think the game would benefit from three or four more weeks’. Delays for upcoming video games, especially ones like BioShock Infinite, can be a real bummer when they’re announced. However, consider the possibility of Irrational Games shipping a product they simply aren’t happy with. It reaches consumers, and they’re not happy with it either. If it takes an extra month of production to really nail the finite points in this upcoming tale of the floating city of Columbia, then I say more power to Irrational. Of course, I’m disappointed that BioShock Infinite is a little further away; but, the final product will hopefully be worth the wait.